Ann Baldwin is the President & CEO of Baldwin Media Strategic Communications, a full-service communications firm. Since 1995, Baldwin Media has been providing business and industry leaders with “hands-on” strategies that help manage their message across all forms of media and their clients. As a member of the PCI team, Ann’s focus is to develop and implement a strategic plan that will help clients protect their reputation and manage their message. As a former news anchor and reporter for television stations across the country, Ann knows how the media operates. She sees her clients through every step of the process, especially during challenging situations. 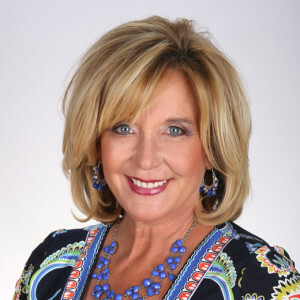 From media training key spokespeople, to serving as the conduit between the media and an organization, Ann and her team of seasoned communication experts are there 24/7 when you need them. Baldwin Media Strategic Communications has worked on many high-profile cases which has allowed them to build a proven track record of giving their clients piece of mind, knowing that someone with this amount of expertise is on their side. As someone who has been on both sides of the microphone, Ann Baldwin offers a unique perspective. She has worked for a diverse list of clients including Fortune 500 corporations, government entities, universities, as well as for-profit and nonprofit organizations. Ms. Baldwin received her bachelor’s degree in Speech & Theater Arts from Colorado State University.